I’ve been putting quite a few miles on the Land Rover, and it is a pretty comfortable and interesting machine to drive. It could use a bit more power, but it’s not an absolute slug. 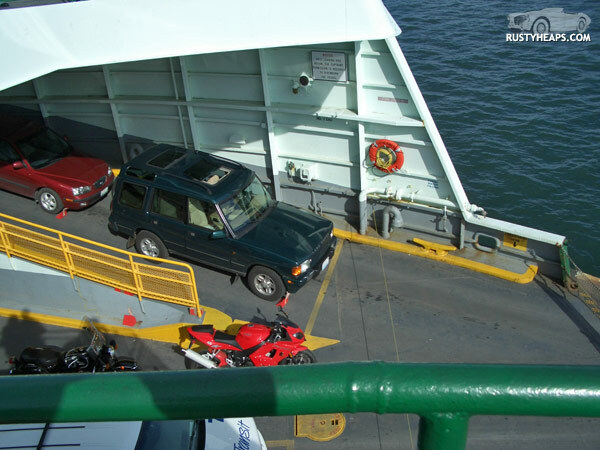 Here it is on the ferry on the way over to Chuck’s house. That is a Triumph Daytona 600 parked next to it, nice to see more British machinery around and about.